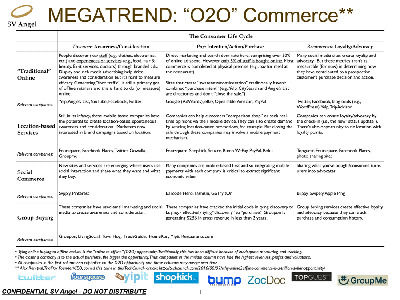 Ron Conway's Confidential Investment "Megatrend" -- "O2O Commerce"
Here’s one of the latest trends that prolific angel investor Ron Conway is looking at: “O2O” commerce, which ties offline activity to online shopping. The term “O2O” was actually coined by TrialPay founder Alex Rampell in this TechCrunch post, but Ron Conway’s SV Angel has turned it into an investment thesis. This document made its way into our hands, and we are republishing it here. 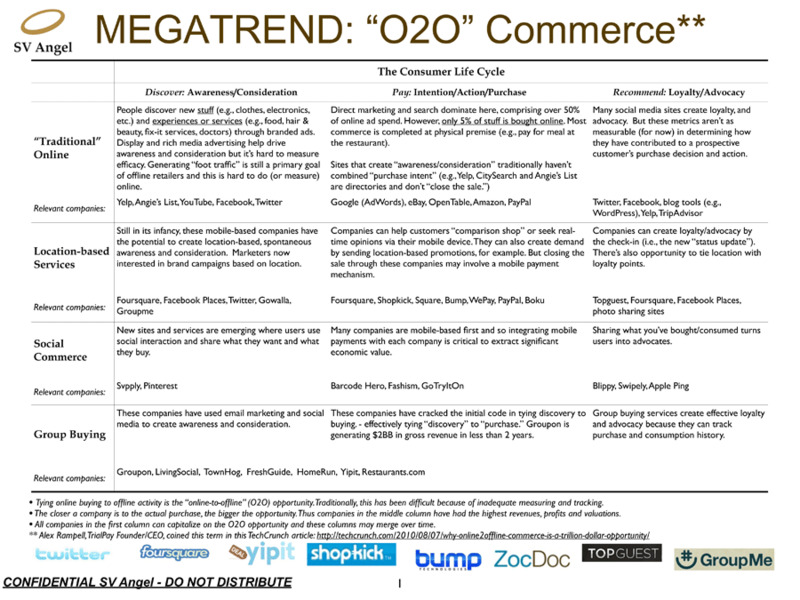 Here, SV Angel outlines “The Consumer Life Cycle,” how people discover, pay, and recommend stuff in “traditional” online presences, location-based services, social commerce, and group buying. 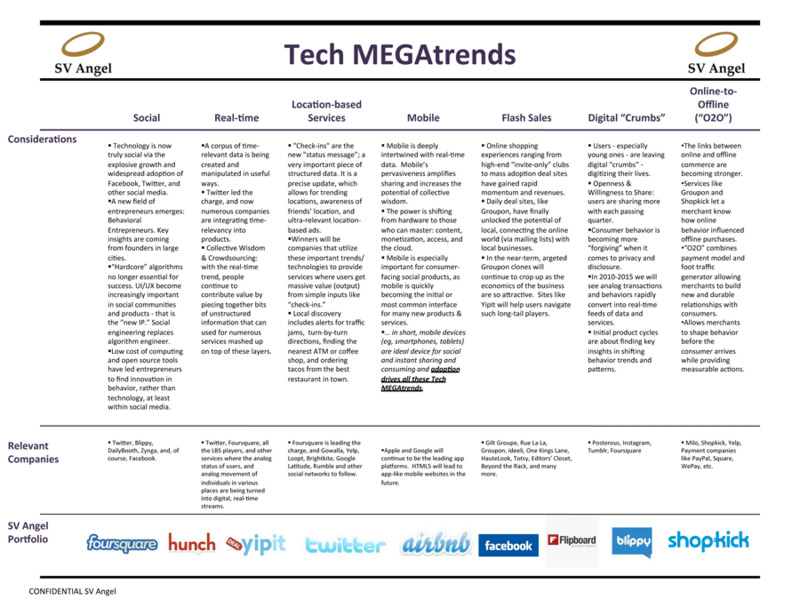 The group also identifies relevant companies for each part of the trend. 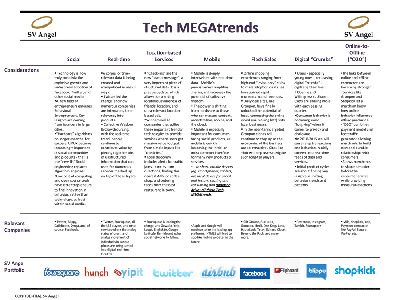 We’ve also posted a second, older document covering general “Tech Megatrends,” which TechCrunch posted last year.